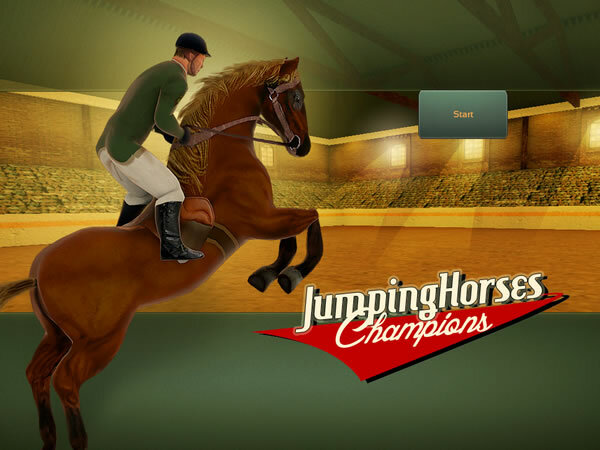 Tags: Horse jumping, Realistic, Riding, Show jumping, Train horse. So real, you’ll hear the crowds cheer! 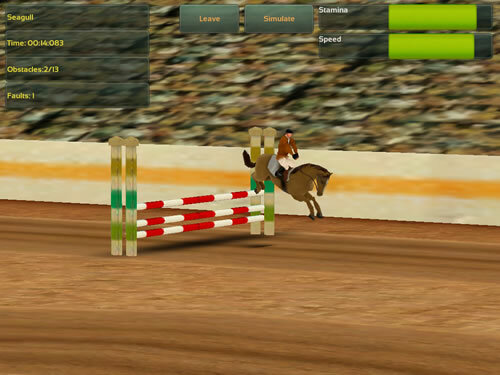 If you love show jumping, you will love this app. 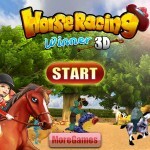 You start the game with $650 dollars to buy a horse, which is really every girl’s dream. The app offers you a ton of choices if you are willing to spend real money, but I went with a cheaper horse, within my given budget. And you know what? It was totally fine. 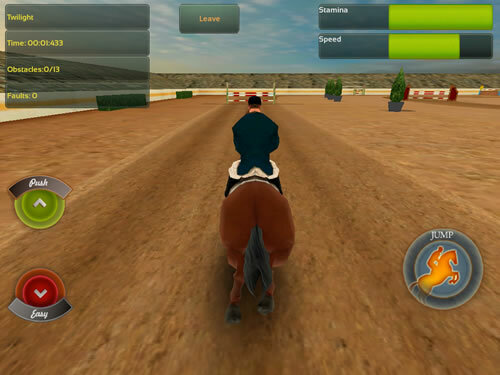 The app tells you that by training your horse, you not only learn how to jump really well, but you also earn coins and increase the speed and stamina of your horse. So really, your basic horse becomes just as good as the expensive horses as long as you put the time into training, which is so much fun and really easy to do. 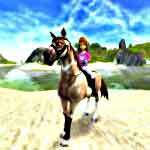 This is just the same as with real life horses! The graphics on this game are quite believable but not perfect. The horse looks a little hard. Its fur, mane and tail are stiff, and they don’t move around much. But the game is very easy to play even for players as young as 3 or 4 years old. My little sister who is almost 4 loved the game and cried when I tried to take it back from her. It really is addictive. But it is also a bit limiting. You pretty much only jump. 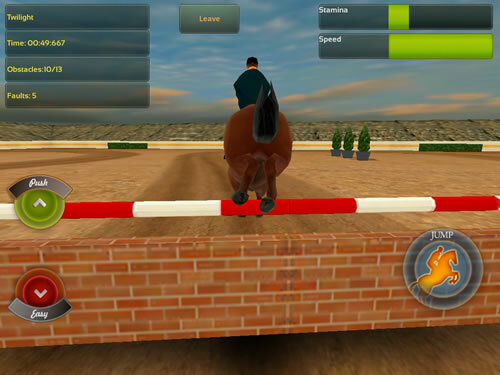 The show arena and jumping course with all different types of fences looks pretty real, and there is even a cheering crowd. But they do look fake, which is fine for an app. 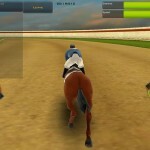 You press jump with one button to control your horse, and there are two other buttons to push or ease up on your horse. 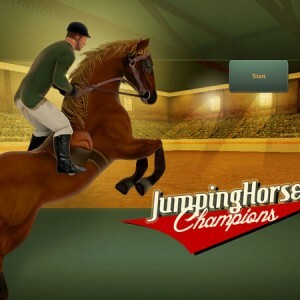 I love that you can see your horse’s muscles when you jump. Horses are such powerful creatures. I kept watching my horse’s thighs with every jump. Also, you get to watch other riders jump through the course, just like a real competition. Though I think they were from the app and not other players, but I wasn’t sure. I have always wanted to show jump in real life, but my parents tell me it will take years of real training and lots of real money. This app helps you live that dream now and for only 99 cents to start. That may be the better deal. One of the biggest downsides to the app is that you can’t change the rider to look like you. I know that girls love to groom their horses, but you can’t do that here either. You can’t change anything about the horse or feed it. 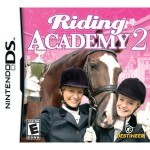 But once you advance in the game, you can breed and sell horses at your own stable, which is a load of fun. And of course, you get to jump, jump and jump! I love this game. 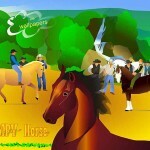 I have a ten thousand and five hundred dollar horse and compete in the most difficult competitions. I defintely recommend it.